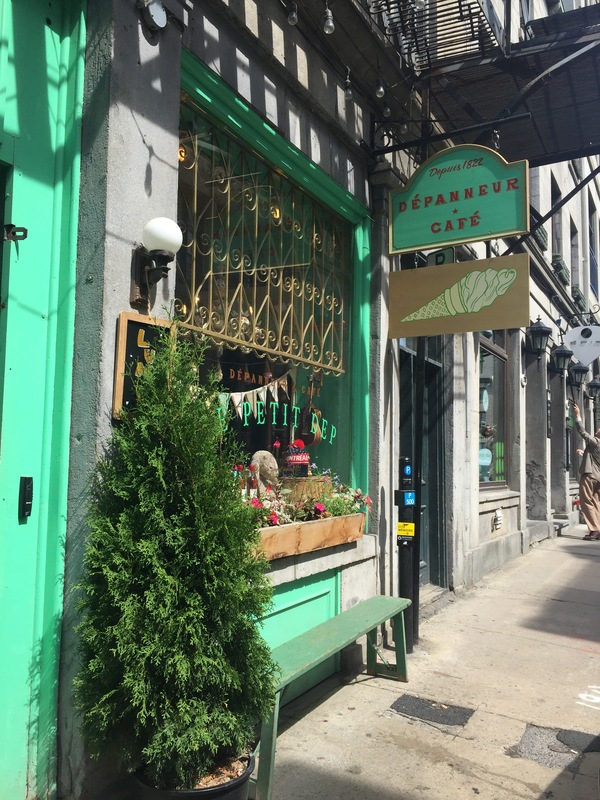 Unless you live in the area or are a tourist, you probably have never stumbled upon this little gem, nestled among the old buildings in Vieux Montréal. The bright turquoise sign above the door shows that this establishment has been in place since 1822, which we found it highly unlikely, until we set food inside. Althouh it has been decorated and modernized, I can easily believe that this little depanneur (French for corner store/convenience store) was indeed opened over 150 years ago. Seeing as it is in the Old Port, near the docks, it could have easily been an apothecary or general store for the inhabitants of Old Montreal. Today, it’s shelves are stocked with gourmet chocolates and treats, daily essentials, and a fully functioning espresso bar and ice cream parlor. 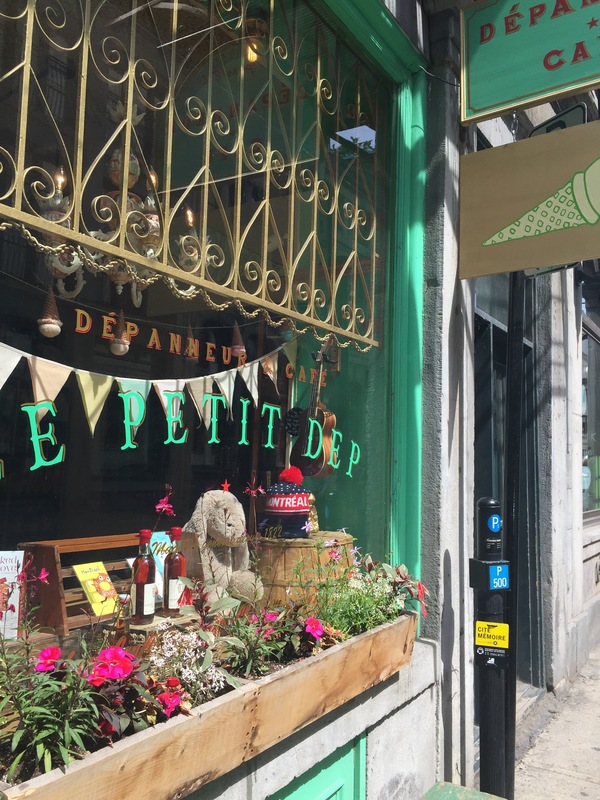 For any lost tourist or neighboring montrealer, this little depannneur will brighten your day, and will most likely have whatever you are looking for. We set out to find it, since it is one of the stops on the Indie Coffee Passport, Sunday morning bright an early. We really wanted to beat the brunch crowds and explore the Old Port before it became too crowded with tourists. They were serving 49th Parallel coffee, which we have reviewed previously on the blog, which made us quite happy as we had thoroughly enjoyed it last time. They also have an assorted collection of pastries and take-out lunches, as well as very funky flavored ice creams… I’m pretty sure there was a combo flavor of fruitloops and something and something else, which looked pretty interesting. We took our coffee to go, there is practically no sitting area in the shop, which is a good thing because it forces you to go explore! It is a 5 minute walk from the Notre-Dame Basilica, as well as the Quai St-Jacques. You are also a couple of streets away from the Pointe à Caillère, the historical museum of Montreal’s foundation (it’s actually pretty cool). So if you’re in the Old Port area, and you’re looking for a good cup of coffee to go while you explore, definitely check out Le Petit Dep! 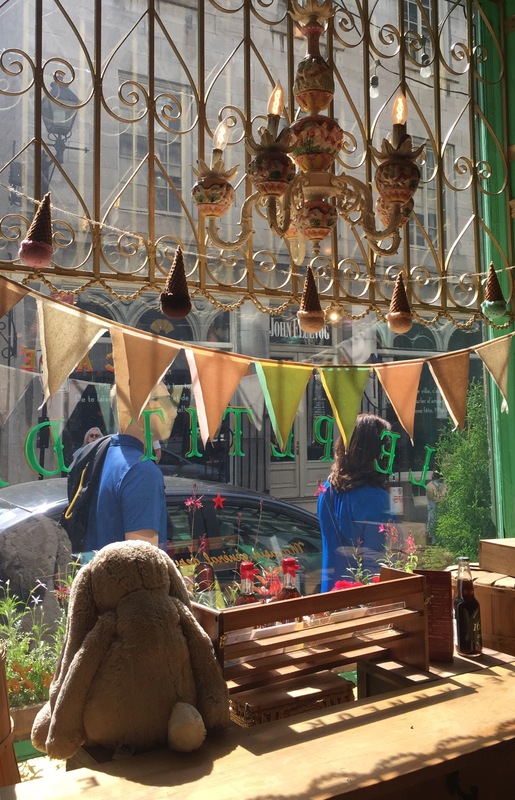 There are so many cool little shops and museums to discover in that area, that you’ll be needing that extra boost that only a good cup of coffee can provide!